It is the identification and manipulation of matter that has the potential to inform, change, align, and drive a physical interaction and making with the world. 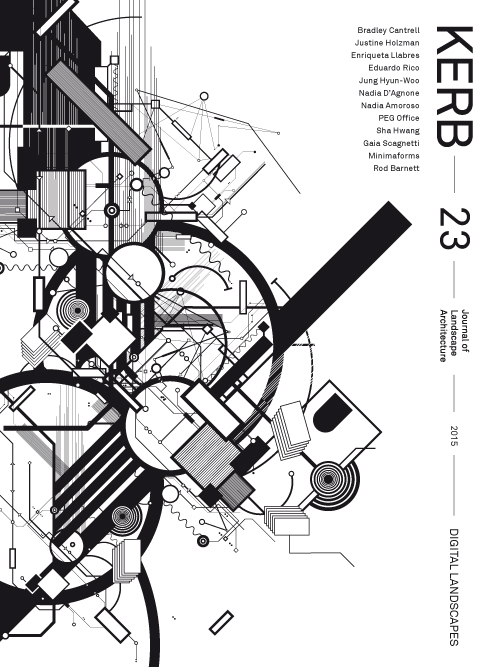 KERB 23 examines ways in which ‘Digital Landscape’ discourse can be applied to landscape architecture. Through exploring Simulation, Fabrication, Augmentation and emerging theories of ‘Digital Ecologies’ we can navigate new horizons of what is made ‘possible’ within and through the realm of digital landscapes in regards to unlocking, transforming, storing and distributing the way we might reveal, uncover, and generate alternative modes of translation and interaction. Originating as a RMIT university pamphlet in 1989 for the purpose of discussing landscape architecture. The journal KERB now boasts a diverse selection of contributors, focusing on contemporary landscape architecture themes. The journal is edited by a group of students, who select the articles pertinent of each edition. 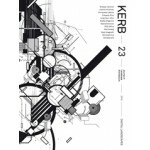 KERB seeks to set the agenda for designers and architects, establishing a platform for new ideas and contemporary design theory. Kerb Journal is now featured on university reading lists around the world.